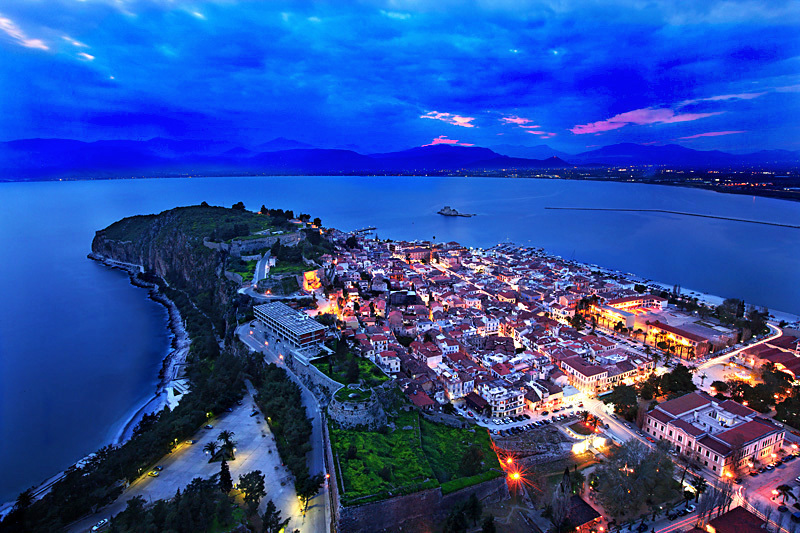 Book your room with us, and take advantage of our special offers, using the all-about-nafplio coupons! You can pay via bank account transfer (where applicable) or by credit card. For any questions regarding security, do not hesitate to contact us. Welcome to one of the most beautiful pensions in town, with all the latest facilities and spaces that sustain their traditional style, combining tranquility, luxury and cleanliness. Adiandi boutique hotel is a luxurious small hotel in the center of the Old Town of Napflio, 50 meters from the port and parking. Hospitable pension located under the Castle of Acronafplia. It consists of 5 rooms, equipped with TV, air-condition, fridge. In the heart of the old town of Nafplio, the historic Square St. Spyridon is for ten years, traditional pension Atheaton. In one of the most beautiful and most historic cities in Greece, picturesque Nafplio, you can find the brand new and luxurious hotel AERINON. Through the narrow streets of the old city of Nafplio and the most romantic location "Psaromahalas" lies PENSION HELEN. Two room appartments with fully equipped kitchen, large balconies and a great view. Pension Isabo is a neoclassical house of the 19th century which is located in the historical center of Nafplio City (the old town). A great choice for accommodation in Nafplio (Nafplion, Anapli, Nauplio, Nauplia, Nafplia) is Anthemion Traditional Pension/Guest House. Experience the elegance of an authentic neo-classical mansion of the 19th century, renovated thoroughly to combine the tradition of Nafplio with the finest modern amenities. Stone houses with a panoramic view of Palamidi, Nafplio, the plain of Argolida and the sea. Each house has a unique character and colour. Deves Hotel is located in the new town of Nafplio 800m away from the historic city center. Created to meet the needs of both vacation and relaxation that require business trips. The hotel is situated within 50 meters from where the first governor of Greece Ioannis Kapodistrias had been murdered right on some of the stairs leading to “Psaromahalas”. Kyveli lies in the historical center of Nafplio, behind the port (central parking), a unique spot to start walking and exploring the beauties and entertainment of the Old Town. In the center of the old town and in very close distance from the historical monuments of Nafplio, Filyra Pension is inbetween the old buildings and narrow streets. Neoclassical Mansion with 7 large and bright rooms at excellent location in the old town. How beautiful and unique is to wake up ‘’touching’’ the Palamidi castle. Grimani Pension is in Nafplio, in the entrance of the Old Town and has a unique view of the Palamidi fortress and the walls of Acronafplia. The Xenon Hotel offers luxury accommodation, double rooms and one suite, in one of Greece's most historical towns, Nafplion. Dafni pension is located in the center of the old town, beneath the rock of Upper Nafplio and Palamidi, open all year round.